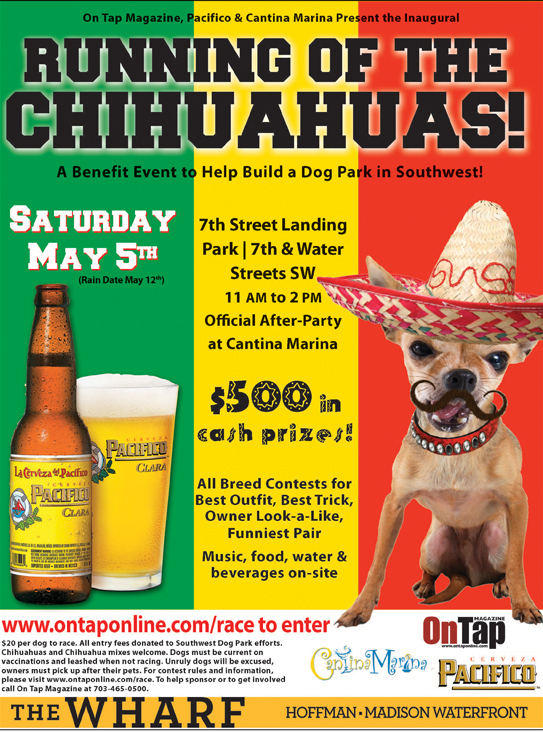 If you're looking for something to do on cinco de mayo, check out the "Running of the Chihuahuas" at 7th Street Landing from 11am to 2pm. Click here to enter your Chihuahua or Chihuahua mix for the race. There will be other contests for all breeds as well. Proceeds will go towards the PAWS of Southwest, the organization that is trying to raise funds to build a dog park at Lansburgh Park. Southwester Barkley is ready and raring to go! OMG PLEASE VIDEO TAPE THIS FOR YOUTUBE! I need to see this!!! Love it!!! This will be awesome. 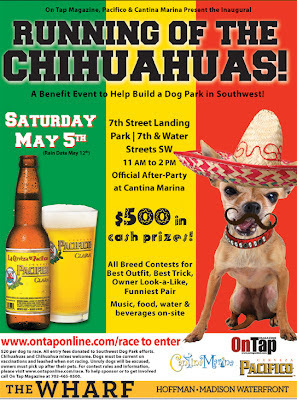 Now the big question is, will there be a Chihuahua named Pancho Villa there?? ?